This. I'd love to see that exact same test done with a freshly charged AAA Eneloop. The % velocity difference axis doesn't really tell the truth. Currently it's 0..+12%, really it ought to be -infinity..0..+12% to account for the Batterooed train not moving while the other is. OK, that's a bit difficult to show but it really does want a clear visual cue to the fact that Batterooed train has stopped dead and the other is carrying on, otherwise a casual reader could easily take away the message that the Batterooed train is always faster. It might be an interesting test but the results would be irrelevant because Batteroo has stated many times, including in the current FAQ on their website, that the current product is not recommended for use with rechargeable batteries. It might be an interesting test but results would be irrelevant because Batteroo has stated many times, including in the current FAQ on their website, that the current product is not recommended for use with rechargeable batteries. For the purpose of advising the technically challenged what batteries they should be using it would be quite helpful. Frankly that is the only point to any testing because the technically competent knew batterisers were almost worthless junk 18 months before the first one shipped. For the purpose of advising the technically challenged what batteries they should be using it would be quite helpful. 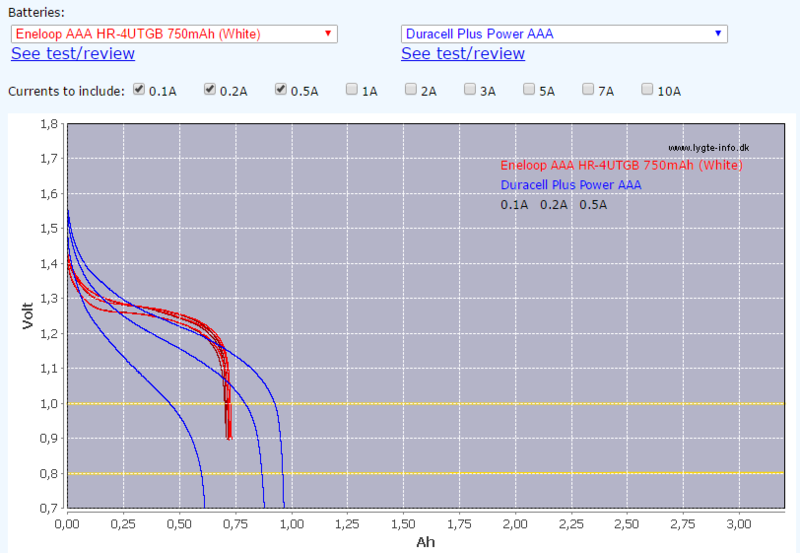 Testing a NiMH rechargeable without the Batteroo only, for comparison against an equivalent Alkaline, may be of some educational value but testing a rechargeable with a Batteroo installed is not a good use of valuable testing time at this point. Yes, but my stance in relation to the Batteroo is to encourage people to stop using Alkaline cells and get LSD rechargables instead. Batteroo talk about saving the environment/landfill, and if that's so, selling Batteroos isn't the answer, but using rechargeables which can be cycled hundreds of times is a step in the right direction. Many people who aren't into this type of stuff believe that because of the "1.2V" thing, 1: Eneloops etc won't work in their device (they almost certainly will), and 2: Eneloops or other LSD rechargeables won't perform as well (when in fact they actually perform a lot better in most use scenarios and devices). So that's why I'd like to see bare (unsleeved) Eneloops to be included in comparison tests, to suggest to people a much better alternative to Batteroo OR using plain Alkalines. The results will speak for themselves. And yeah, I'm not interested in seeing rechargables used in batteroo sleeves. No point. Yeah, I figured that the graph stopping was obvious enough. Hopefully people get the point. How come I get "video is private"? Not available on YouTube either. In the other thread Dave said he's pulling the video to add the bits about testing the batteroo after the original battery died and only getting a smidge more out of it; and then he'll reupload it. In the Live feed I noticed that the little train wasn't moving at a nice and smooth speed. At first I thought it might be a video encoder or Youtube issue, but then Dave stepped into the picture and his movements were normal while the train was changing its speed all the time. Not sure how to describe it, it reminds me a bit of hickups. I noticed this well before the train stopped, but I can't recall whether this effect was with Batteroo, without Batteroo or in both tests. Anyone else noticed this too? I also think this is important. Now that it looks like Batteroo aren't going to save the planet, some are still going to wonder how they can. Showing that rechargables are better than alkaline cells will refute Bateroo's environmental claim. Providing an alternative (especially a demonstrably better one) to Batteroo makes your position much stronger. I would have made the percentage difference axis go from 0% to 100%. It shows more 'truth' than the engineer-optimized 0% to 12% scale, ie. that the difference is tiny. I'll give the video a though. It's what the public needed. The Batteriser/boost converter is more efficient than 60%, but it draws more current from the battery, increasing the internal losses. The amount of energy you get out of a battery decreases if you draw more current. We will get to that. Real world tests needed to come first. We will get to that. Real world tests need to come first. The train will be higher current than shown here though, but it should be reasonably efficient. The problem is the extra current draw from the battery as the batt voltage drops and the converter is delivering constant power. Also, no thermal testing has been done, don't know the motor/gear properties etc, so we don't know how those play a role. Ballpark cals: Let's say a nominal 1000mAh AAA capacity. 2hr 49min run time = 350mA motor current. 350mA x 1.5V = 525mW constant power with the Batteriser. I just ordered a set of Sleeves for D-Cells. 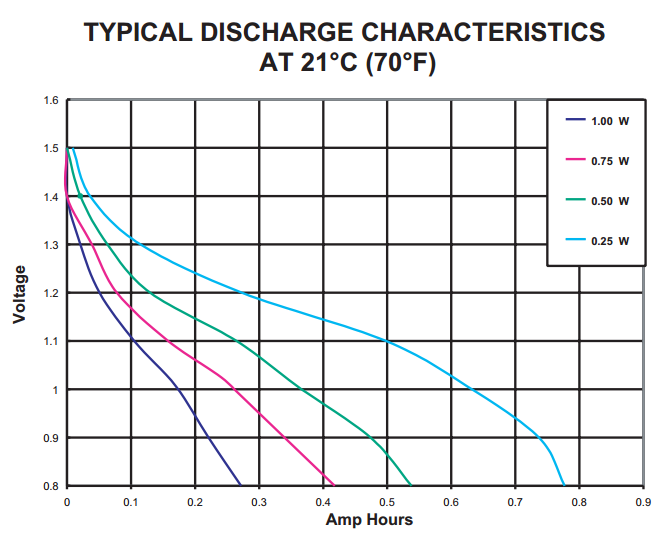 I'm also curious to see how well they handle a C/20 discharge of a D-Cell. They are rated for about 12000mAh so the current will be in the area of about 5A! 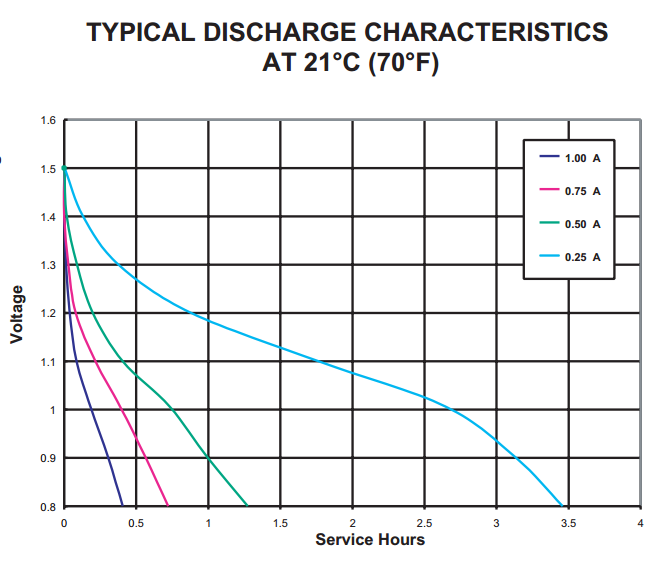 Have you tried High Current (C/10 and C/20) discharges yet?